As part of its contributions to the celebration of the International Women’s Day 2019, Dana Air has supported the Women in Media Development initiative 2019 and Women Entrepreneur Fair, scheduled to hold on the March 29 and 30th at the Justice Idris Kutigi Conference Centre in Minna, Niger State. The Women Entrepreneur Fair (WEF), an initiative of the Airmingle Media Limited is aimed at training, empowering and showcasing female entrepreneurs, women in business and encouraging them to come together and share their experiences in order to shape the thought of young women in business. Speaking on Dana Air’s support for both initiatives, the Media and Communications Manager of the Dana Air, Kingsley Ezenwa, said Nigerian women are strong, courageous and industrious and any form of bias against them is highly unacceptable to us at Dana Air. 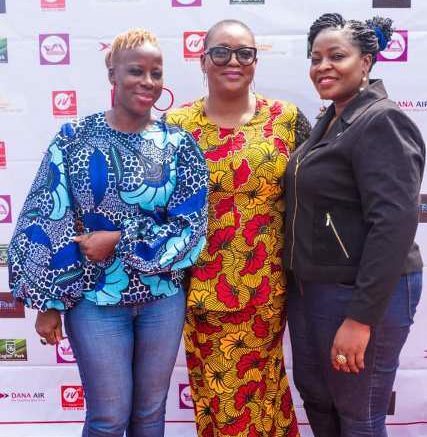 Be the first to comment on "Int’l Women’s Day 2019: Dana Air Supports Entrepreneurs, Women In Media Initiative"